China will not issue permits to foreigners wishing to visit Tibet, following a number of acts of self-immolation. This will lead to a significant loss of income for Tibet, since tourism generates more than one fifth of its GDP. In a matter of days, the number of expected foreign visitors to Tibet has gone from millions to zero. Chinese authorities alerted foreign travel agencies Tuesday [5 June 2012] that they would no longer be issuing entry permits to Tibet, the latest in a series of regulations being put on travelers to Tibet. The announcement follows the self-immolation of two Tibetans last week. Tibet is no stranger to Chinese interference in its tourism industry. Tibet’s failed rebellion in March 1959 and the event’s annual memorial on National Uprising Day has chronically put the region at odds with the People’s Republic of China. In 2008, protests after National Uprising Day turned into riots that were met with violence by PRC forces. The Chinese government temporarily closed Tibet to foreign visitors. That is a now-annual practice in March, and during other national events significant to the Chinese government. Now, many are saying that the latest in a string of Tibetan self-immolations led to the country’s shutdown to outsiders. According to Free Tibet, a campaign promoting Tibetan independence from China, there have been more than 30 self-immolations since March 2011. Most recently, on May 27, 2012 two Tibetans were the first to set themselves on fire in Lhasa, Tibet’s tightly-controlled administrative capital. The shutdown also coincides with the Saga Dawa festival, which celebrates the Buddha’s birth and draws many Buddhists to Tibet. This year, the festival began on June 4, which is also the anniversary of the Chinese government crackdown on the Tiananmen Square protests. While many tourism agencies have learned to adapt and predict the trends on tourism bans, this closure comes as something of a shock. According to Nellie Connelly, marketing director of WildChina, a prominent travel company that regularly coordinates trips to Tibet, Chinese authorities informed the company in mid-May that travelers would only be allowed to visit Tibet in groups of five people of the same nationality. 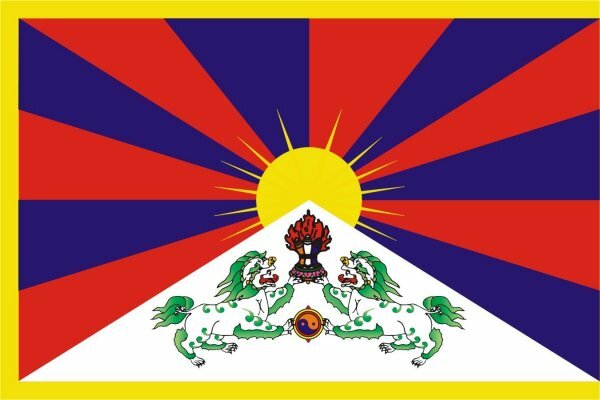 Last week, the government stopped issuing entry permits to Tibet altogether. Connelly is in the process of rerouting customers whose Tibetan vacations are affected by the new ban. Only those Chinese nationals are allowed to enter the region. “Tibet is a bucket-list destination for many people,” she says. Last year, WildChina sent approximately 100 travelers to Tibet. This week, the company had to turn down approximately 10 inquiries about travel to Tibet. Four other WildChina trips are being re-routed, and five more are on indefinite hold. The loss of income for Tibetan communities is significant. Tibet received 21.25 million domestic and foreign tourists in between 2006 and 2010, generating $3.58 billion in income for the country. Tourism is a staple of the region’s economy. Tibet set a goal to increase tourism revenue between 2011 and 2015 to more than 20 percent of its gross domestic product. The Chinese government’s recent actions will make reaching 2012 targets difficult.